Season nonpareil, but questions remain. Yet another December season is upon us. Year after year we bemoan the tiresomeness and sameness of the festival, deplore the overdose of kutcheris, curse the traffic, and of late the threat of floods and cyclones, the ill effects of the twin demons of the note ban and GST whether or not we understand their implications. Of course the many temporary festival-specific canteens come under our scrutiny as well, as does the fairly recent villain of a rash of lecdems adding to our already overflowing problem of plenty in concerts. ‘More of the same’ is a description commonly uttered about the Chennai December music season. 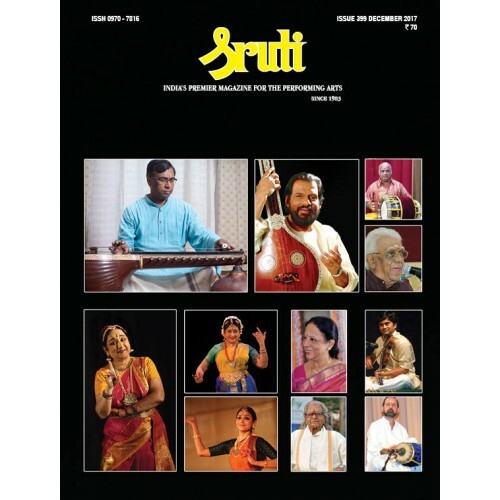 The sense of novelty and thrilling excitement we experienced years ago, when a Bombay Jayashri or an Unnikrishnan made their season debut is no longer a possibility as there are concerts galore through the year, and by the time young musicians make their mark in the prime sabhas or the Music Academy in Margazhi, they are already veterans of scores of concerts. And yes, like the original veterans who tend to be wounded soldiers, many of these valiant performers on the Carnatic music stage have already been injured by excessive demand on their voices and instruments. If you are performing all the year round, where is the time to recharge your creative instincts, think, read and listen to enrich your music, even rest your voice and limbs for a bit to rejuvenate yourself, diagnose your own faults that creep in stealthily into your palette? The season is also the time music lovers congregate in Chennai to listen to the great masters of the 20th century still amidst us and performing. What is Christmas, for example, without a visit to the Music Academy to savour the majesty of T.N. Krishnan’s violin? The season may also provide rasikas an opportunity to listen to another titan among violinists, M.S. Anantharaman, and many younger members of the Parur Sundaram Iyer lineage. “Sometimes a rasika has greater access to the joy of music than a performing musician, who can be evaluative, someone who is transacting with the audience, the organiser, the commercial world, he is caught up too much with technicalities. He tends to be critical of his own music and others’ music to enjoy it. ‘This is not the way to render Begada or Todi or what have you,’ he may feel while listening to a concert. The rasika only has to take the trouble of going to a concert and sitting there, letting the music wash over him. Chitravina Ravikiran has been selected to preside over the 91st annual conference of the Music Academy and has been designated as the Sangita Kalanidhi for 2018. I spent some family time with him at my brother’s house in Philadelphia and this gave me a peek into what makes Ravikiran the maestro he is. A thinking mind, relentlessly exploring some aspect of music, composing, tuning, conducting classes, collaborating with orchestra colleagues, the daily ounce of practice— both vocal and chitraveena—make up a day for Ravikiran, apart from the short breaks he takes to read his favourite novels or go for a walk. Ravikiran is a rare artist who has had the good fortune of being with his art and practising it right from the age of one—a journey that spans 50 years. He is candid about the fact that any talent that he may have been born with was completely shaped and given a form by his father Chitravina Narasimhan, a genius who “creates” prodigies. According to him, no child has a choice at that age. It is the parents who make the choice for a child and lead him on a particular path, and every normal child is born with some music in him or her. The 37th Natya Kala Conference will be organised from 26 to 30 December at Sri Krishna Gana Sabha in Chennai. It has been conceptualised by senior Bharatanatyam dancer Srinidhi Chidambaram who will be the convener of the conference for the second year in succession. The theme this year is ‘Sringaram’. After concentrating on Bharatanatyam in NKC 2016 do you plan to expand the scope of the conference this year to other dance forms? Bharatanatyam is really what I know best. I thought as the convener of the Natya Kala Conference I would focus first on a subject that was really my core area of strength. I also felt it would be good to do this in a very intensive and in-depth way. We had a successful conference last year and Sthiti Gati, themed on Bharatanatyam—past, present and future—drew responsive and vibrant audiences. But this year, I wanted to head in a different direction. I wanted the theme to be a subject common to all Indian art forms and try to provide a complete immersive journey in a broad and horizontal sense so that the attendees could compare, contrast, draw similarities and parallels and also imbibe knowledge and share creative processes with one another.